Road hell just came to an end for the thousands of people who use East Valley Parkway at the bottom of the Valley Center Grade on a daily basis—and especially for those who like to visit the casinos in Valley Center or Bates Nut Farm on the weekend. 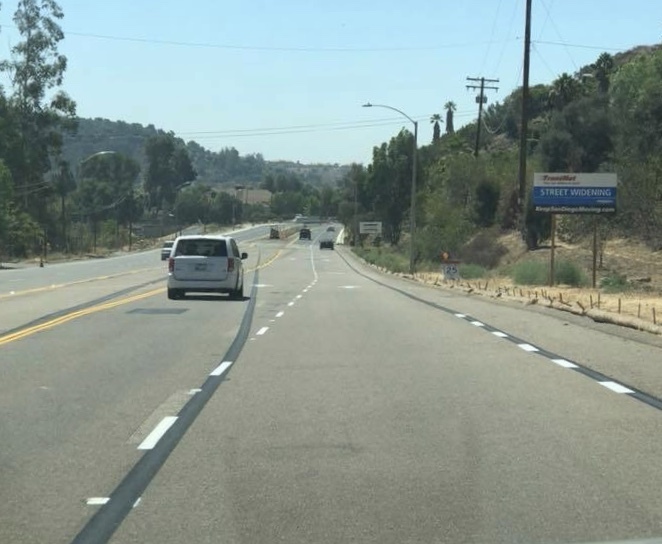 Friday morning all four lanes of the E. Valley Parkway improvement were opened to traffic by the City of Escondido, which first started work on the project about a year ago. And for the first weekend it was as if a forearm had been suddenly removed from our collective transportation windpipe and we could inhale giant big gulps of freedom to move! That noise you hear is the barbaric, joyful yawp of relief from motorists. Just because the project is ALMOST complete, doesn’t mean it is complete, and motorists need to remember that for their safety and the safety of the workers they need to drive slowly through the construction zones.